Don this mask and you will have the appearance if a wizened and zombified hag with quite a mouthful. 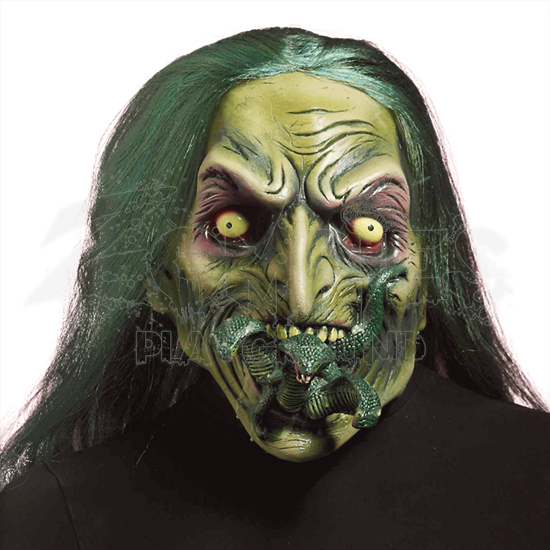 The Zombie Witch with Snakes In Mouth Mask has vivid coloration and a creepy-crawly zombie style that is without compare. It is gruesome and ghoulish to behold, and the sight alone would make survivors tremble with fear. Even a zombie would have reservations about approaching this figure. This mask depicts a green-skinned witch with sunken features and cracked, wrinkled skin. Her eye sockets are deeply withdrawn, while her yellow eyes bulge outward, as though ready to pop out of their sockets. Her mouth is opened uncomfortably wide, while three green cobras writhe around her mouth, their hooded heads extended out to menace those who come too close. Long strands of green hair decorate the mask and act as the witchs hair. This impressive and disconcerting mask covers the whole head when worn, making it an excellent disguise to use when seeking total zombification. 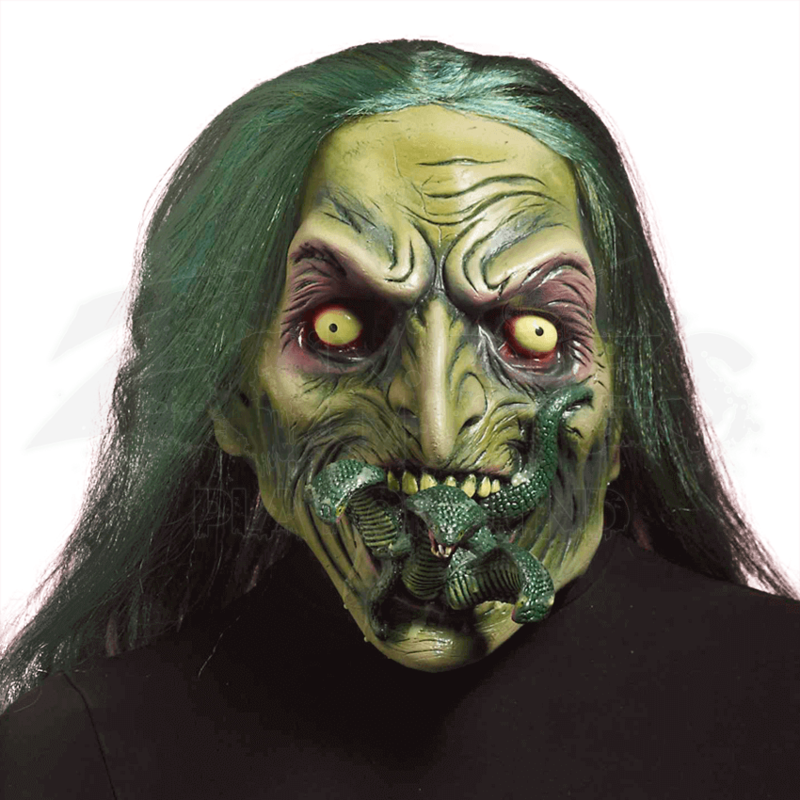 Even your friends and fellow ghouls will concede that there is something utterly disturbing and frightening about the Zombie Witch With Snakes in Mouth Mask, which makes it a fantastic choice when you are completing your truly terrifying zombie costume.